There are a number of misconceptions that exist when it comes to communication skills in individuals with autism. Communication difficulties effects the way a child will acquire language and interact socially. 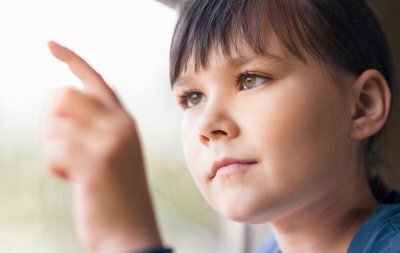 Some children with autism actually have rather extensive vocabularies and speak in long sentences, but they are challenged by two-way conversations in which non-verbal communication is essential. Below, you can get a closer look at the specific challenges individuals with autism face so that you are better able to understand effective communication strategies for your child. Children with autism may start speaking much later than other children, because they do not have the natural inclination to listen to their parents and other adults to pick up language. A child with autism may not imitate sounds and facial expressions, and he or she may seem more interested in ambient noise than the sounds of a conversation. Therefore, it may seem that your child is often distracted or not listening to what you are saying. An important part of communication is recognizing facial expressions, body language, eye contact, and tone of voice. These are all cues that children with autism may have difficulty picking up, so they may misinterpret what a person is feeling and how to appropriately respond. 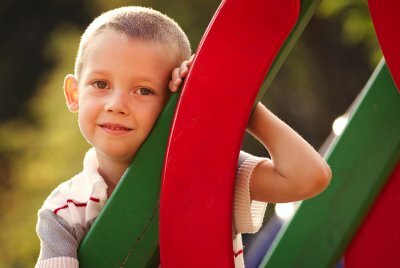 Because autism causes difficulty with the subtle nuances of conversation, it may be hard for children with autism to engage in social situations, so they may become isolated or gravitate more toward solo activities. If your child is struggling with communication due to autism, explore the applied behavior analysis and social skills development services of The Behavior Exchange near Plano. To schedule a consultation for your child at our center, give us a call at (888) 716-8084 today. Applied behavior analysis, or ABA, is a type of therapy that has been utilized in autism treatment for decades, and it is a useful tool in building positive habits that can help achieve success in the home, classroom, and community. ABA intervention may take place in individuals of any age, though it is most frequently utilized for toddlers, children, and teens, since earlier intervention tends to have the most success. There are many individual strategies used in ABA, including positive reinforcement, which enforces the repetition of positive behaviors to in turn reduce those that interfere with everyday activities. ABA is one of the most widely recognized treatments for autism, and it is the backbone of the programs we offer at The Behavior Exchange in Plano. To discover if ABA can help your child perform better at school and build long-lasting friendships by improving social skills, contact us at (888) 716-8084. There are many different types of therapy that can benefit children with autism, and one that this video highlights is animal therapy with the help of a service dog. In the video, you will meet one child with autism who was almost completely non-verbal and frequently had outbursts at home. After learning that service dogs can help children with autism, the child’s family chose to bring in a new four legged member of the family who has transformed the child’s life in a number of positive ways. If you have a child with autism struggling to fit in at school due to communication and social difficulties, call The Behavior Exchange in Plano at (888) 716-8084. We provide a wide range of services with applied behavior analysis, parent training, and speech therapy to help children with autism thrive in the school environment and beyond.